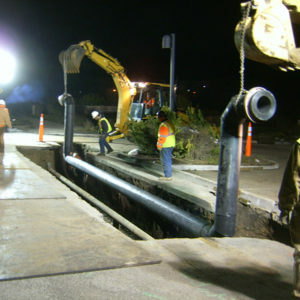 The project includes the acquisition of the assets of the Lake Forest Water Company by the TCPUD, and the reconstruction of the water system within the Lake Forest Water Improvement District (LFWID) service area to meet Federal and State drinking water standards, as well as fire protection standards. The reconstruction project consisted of approximately 2,500 lineal feet (LF) of 10-inch pipe, 7,500 LF of 8-inch pipe, 600 LF of new 4-inch pipe, and 10,000 LF of small diameter and back-lot water mains. Water meters were installed with new service laterals to each customer, and 27 fire hydrants were installed within the right-of-way. The interconnection ties the new system to the existing TCPUD water supply and storage system, which surrounds the LFWID. 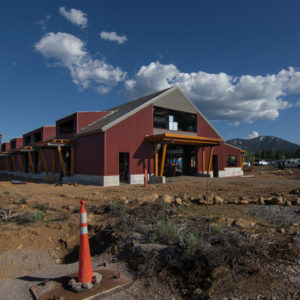 The Clear Capital Airport Building is a 12,840 square foot modern steel office structure built within Truckee-Tahoe Airport property. The project includes a reconfiguration of the existing airport long-term parking area, circulation and access improvements, storm drainage and water quality treatments, sidewalks, and roadway improvements. AEC provided civil design level services, CEQA and FEMA support, and construction phase services. The Station 51 original relocation project included site work for a 20,000 square foot public safety center including roadway improvements to Fairway Drive, parking, new utilities and utility relocations, and a storm water collection and treatment system. 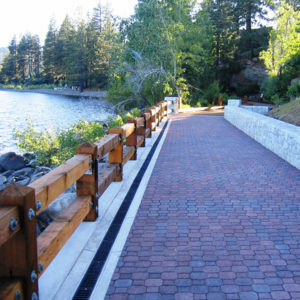 The Lakeside Trail is the final one-mile segment in the largest paved trail system at Lake Tahoe connecting the existing multi-purpose trails through a highly constrained urban core of Tahoe City, along the lake shore. The Lakeside Trail is a one-mile segment in the largest paved trail system at Lake Tahoe, connecting the North Shore, West Shore, and the Truckee River and Squaw Valley. This segment courses through the core of Tahoe City in close proximity to the Truckee River and Lake Tahoe and was developed in seven phases due to its complexities. 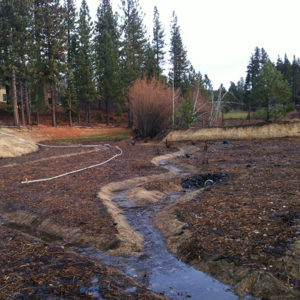 Water quality and coverage mitigation strategies were successfully implemented throughout the trail and allowed for enhanced restoration of areas that had been previously disturbed. Managed public access and friendly barrier features have kept users on the trail and away from sensitive areas. Major utility upgrades and relocations as well as storm water treatment facilities and source control measures on and off site were key benefits of the trail. 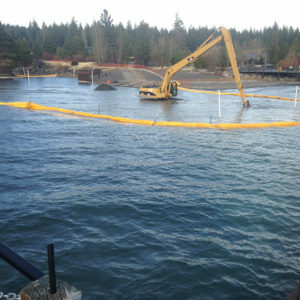 The project involved dredging of lake access to the previous dredged elevation of 6220’ to enable boat operation at lower lake levels. AEC was retained for civil design, topographic and bathymetric surveys, construction inspection/monitoring, as well as permit compliance. AEC provided TRPA, Lahontan, CDFW, and California State Lands permitting compliance/acknowledgement as well as environmental clearance for a California State Parks Right-of-Entry in order to facilitate an early construction start date. 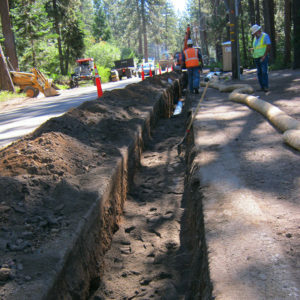 This project was in coordination with the North Tahoe PUD Utility District, located within the Carnelian Bay and Tahoe Vista areas. AEC compiled a comprehensive list of the potential utility conflicts that could arise during construction of the Caltrans Erosion Control Project. AEC developed improvement plans for the relocation of gravity sewer systems and the water transmission pipelines. AEC also provided construction inspection services for the relocation of those facilities.